The newly appointed Bishop Daniil of Arkhangelsk is likely to make the fight against new religious groups and sects a top priority. The new bishop who previously served in Russia’s far eastern Sakhalin island, has extensive experience in fighting “totalitarian sects”, Arcticway.ru reports. During his nine years of service in Sakhalin, Daniil is reported to have initiated a major missionary campaign and successfully put a stop to the quickly expanding new religious organizations in the region. That experience could be efficiently applied also in Arkhangelsk Oblast, analysts believe. The Russian Orthodox Church is reportedly not content with the situation in Arkhangelsk Oblast and believe the regional administration is being too soft on the new groups. The number of non-Orthodox groups is said to be most significant in the towns of Severodvinsk and Plesetsk. The biggest number of new religious groups, however, is found in the neighboring Nenets Autonomous Okrug, where as many as 20 non-Orthodox congregations are registered. 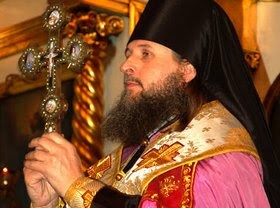 Daniil was appointed new Bishop in Arkhangelsk on 24 December last year. He took over the position from Bishop Tikhon who passed away in October.